It’s no secret that Apple seems to have something against allowing their mobile devices to support Java or Flash websites. 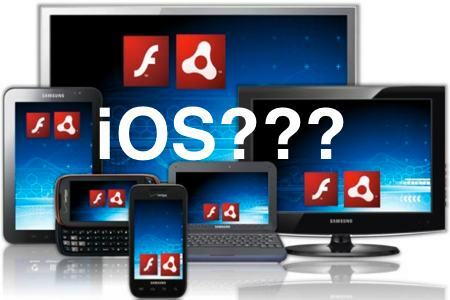 Some suggestions as why flash is not allowed on iOS, is due to some animosity from Apple and Adobe. As far as why there isn’t any support for Java on iOS seems to be more in part that it just doesn’t work well on the platform as is. Honestly I’m not sure how much truth there is to either of these suggestions, I would guess some, but I would also guess there is more to the story than Oracle, Adobe, and Apple are leading us to believe. Both Java and Flash are supported on almost every current platform, so to tell us it’s just not possible to have it working properly on iOS sounds like a bunch of malarkey. The good news is, there is a way that you can currently access Java and Flash content on your iOS device. It’s not the ideal situation, but it’s certainly the best and probably the only option you’ll have. 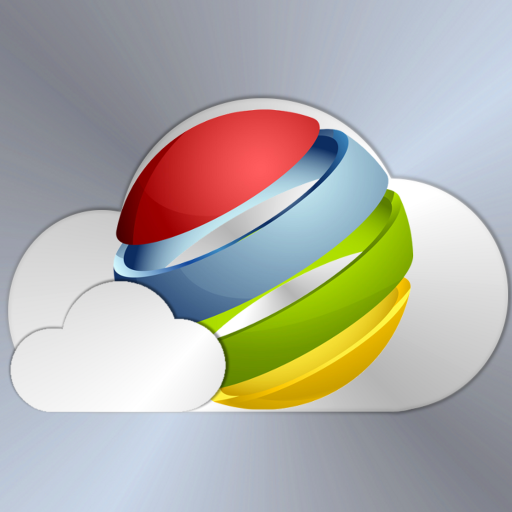 Some refer to it as cloud or virtual browsing, it’s where you use a iOS app that remotely connects you to a actual computer that has support for Java and Flash. The general downsides to doing this is, one your browsing is going to be slower because you’re not only passing through your network, but to another network, which in turns connects to the said source. The second downside is cost, because these apps require servers constantly up to allow users to connect to machines that offer full desktop browsers. You’ll be hard pressed to ever see a totally free virtual browser. With that said, let’s take a look at some of your options for virtual browsing. VirtualChrome is a iPad app developed by Xform Computing. The app brings the power of the full desktop version of Google Chrome to your iPad. This includes support for Flash, Java, and even Chrome extensions. The piece that I feel sets this app apart from the rest, is having the full access to a chrome browser. The app costs $3.99 to download and an additional $14.99 to unlock the full browser, it may seem like an expensive solution, but at least you’re not looking ay any hefty monthly fees or over-barring ads. The app for the most part runs pretty smooth, though with sites with large amounts of content like CNN will feel fairly sluggish scrolling through the page. The other issues lie in trying to work with a clumsy keyboard and difficult to grab scroll menus. Apart from a few slow downs from controls and latency, I still feel that overall this app works faster than the built in Safari browser. SkyFire for iOS is built to specifically focus on Flash based websites. It really shines with certain sites like YouTube, Hulu, and Facebook loading up videos fairly quickly. Even though it focuses to support Flash websites on iOS, there are plenty of sites that users have reported to have issues with. It’s really a mixed battle of some users praising it’s ability to load websites that Safari struggles with, and others crying out for a update to fix a site that hosts their favorite videos. 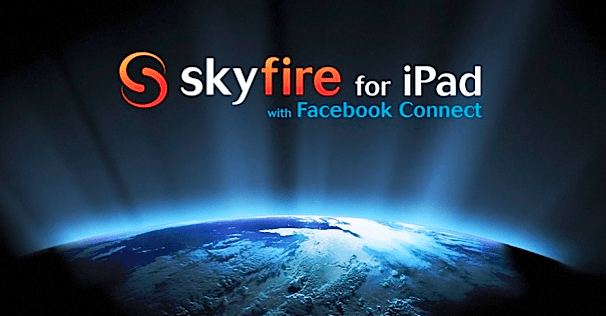 The cost of SkyFire is only $2.99 and is currently on version 5.1.2, while some users say the updates have improved usability significantly, others claim sites that worked before no longer work. It appears to be a constant back and forth battle for SkyFire, but being it’s only $2.99 and hosts a more integrated browsing experience for iOS, it may be worth giving a shot. iSwifter is the first virtual browsing experience I’ve had on iOS and well it seemed promising to offer an affordable virtual browser, it’s been a slap in the face ever since. iSwifter works similarly to VirtualChrome, with the exception that iSwifter manages your browsing experience in more ways than one. It uses the popular FireFox browser on its servers, but iSwifter adds loads of overlaying apps and menus within the iOS app. The over laying ads and menus clutter your browsing experience to the point of asking yourself if it’s even worth it. The app is free to download and free to try, though you’ll only have so many minutes with the app before it locks you out until purchased. The full version is advertised as $7.99 on iTunes, but has often seen in-app deals for $4.99. This is probably one of the cheapest options for full virtual browsing, but you’ll pay the additional cost by over-baring ads on screen pretty much at all times. 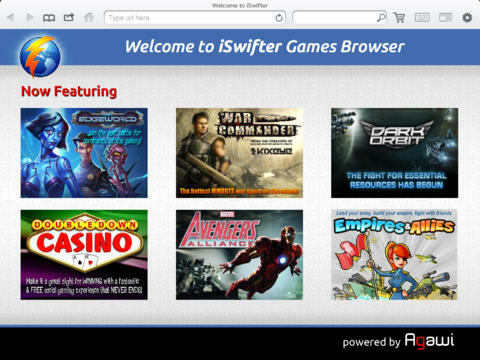 iSwifter’s main focus is on Flash games, the unchangeable home-screen will offer a list of its best supported flash games. Well the games listed on the iSwifter homepage do play well, there are plenty of other games that are either too slow to play, or just don’t work at all. So there you have it, it is possible to access all those addicting little Facebook games on your iOS. It may not be the ideal situation, but until Apple decides to invest some solid time into giving us a iOS version that fully supports Flash and Java, this is what we have to work with.